It’s the phrase no warehouse manager wants to hear: “We’re losing a lot of money on storing/shipping our inventory”. While it may not be accurate to call these issues ‘unavoidable’, in many cases they tend to creep up without notice. Some of the biggest money sinks when it comes to inventory management and transport can lay hidden in plain sight, camouflaged by being ‘part of the process’ and frequently considered just another cost of doing business. Large orders can often feel like a no-win situation—by splitting up the orders into multiple shipments you can make the orders easier to manage but more expensive; but if you keep the order together you can create a lot more headaches in trying to locate the items. Try to consolidate your shipping options for larger orders to a single provider or a single vendor, and watch as costs roll back down to a place where you can better handle them. The old push-and-pull over what to do with unsold items is a never-ending struggle for most warehouses, and can lead to a lot of increased cost. 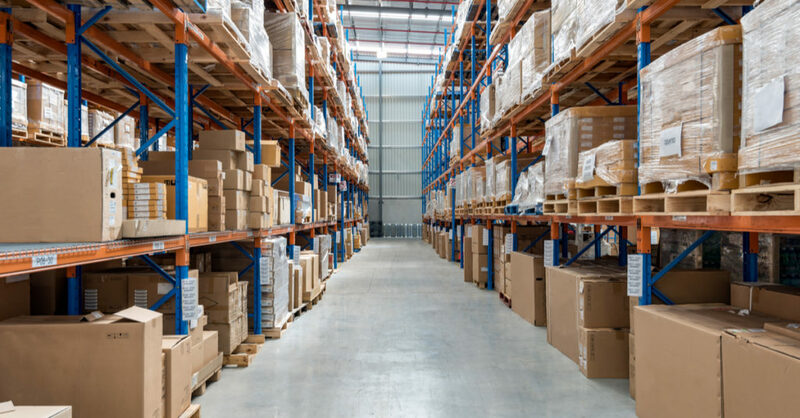 While safety stock might look like a good idea at first, in the majority of cases it just results in you needing to buy more warehouse storage and trying to make room for everything while last season’s items linger on the shelves. Be more vigilant in paring down your overstock and be ready to throw out anything that isn’t moving like it should be. When it comes to product safety and timely delivers, it usually pays off to avoid the temptation of ‘cheaping out’ on transportation vendors. Even if you’re saving money upfront by going with the cheaper option, in many cases this can start to cost you more in the long run due to tardy deliveries, truck accidents, damaged product, and the like. Remember: they’re the cheaper delivery option for a reason. Stick to the vendors you know will get you there on time. Another often unseen cost of storing inventory is labor and man-hours. Even if you’ve “always done it this way”, using an outdated method of counting inventory and tracking orders can begin to add up and incur extra costs for your staff. Try to make sure you’re training all of your workers on whatever the newest inventory tracking and handling methods are, and update things like barcode scanners and tracking software as able to help prevent slowdowns due to outdated equipment. Finally, the very area you store the items in can be part of the problem. Are you paying for too much storage space that you’re not using, even if the holidays bring a lot of extra inventory with them? Or are you renting out extra space to hold overages that you could either get rid of, or move it all into a bigger, cheaper warehouse? Take a good look around at how you’re using the space you have available, and be prepared to ask yourself the tough questions—you might not like it, but you may need to consider a move soon.